Savaari is looking for a Digital Marketing Specialist. If you meet the requirements below, you will be eligible to apply via Digital Marketing Community. Identify and execute opportunities to improve our company’s search presence for keyword sets at the top, middle and bottom of our marketing funnel. Manage and own both on-page SEO and off-page SEO. Cooperate with the content marketing team and the larger travel community to deliver high-quality content around important and relevant terms. Develop and improve organic channel performance, specifically traffic-related metrics like (click-through rates, clicks and conversions). Stay up-to-date with the latest trends and changes in SEO and major search engines. Implement and execute paid advertising campaigns across search and display channels. Collaborate with various stakeholders such as publishers, creative agencies, internal content marketing team and the analytics team towards executing the digital campaigns. Accountability on the committed ROI and KPI numbers for these campaigns. At least 3 years of proven experience in the same role. Effective experience in digital marketing, particularly SEO and PPC campaigns. Advanced understanding of marketing automation, web analytics and keyword research tools. Extensive working knowledge of using web analytics and reporting tools such as (Google Analytics). Deep experience in using (Google AdWords, search console and keyword planner). Proficient understanding of (razor-sharp, data-driven analysis and optimization). Intermediate knowledge of search ranking and optimization factors and key algorithm updates. Ability to manage and orchestrate a multi-stakeholder marketing setup towards campaign executions. Excellent working skills in using (MS Office). 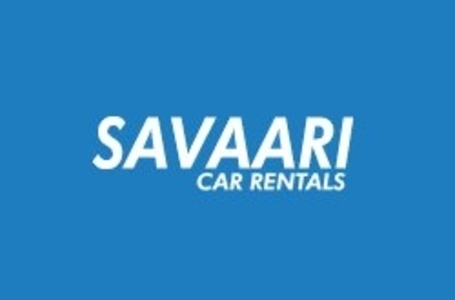 Savaari is a car rentals company with an online cab booking aggregator, providing customers with reliable and premium intercity and local car rental services. Over the last decade, they placed as the largest chauffeur drove car rental company in India in terms of geographical reach.